Former brilliant dual Group I winning two year-old Pride of Dubai has his first foals on the ground this spring and it only seems fitting that one of the first to be born at Coolmore is for his breeder HH Sheikh Mohammed Bin Khalifa Al Maktoum. Foaled and raised in the paddocks at Coolmore Australia, Pride of Dubai was a superstar on the track for the Sheikh, carrying his renowned yellow and blue colours to victory in the Group I MRC Blue Diamond Stakes (1200m) and ATC Sires Produce Stakes (1400m) during a sparkling juvenile season. By champion sire Street Cry from the family of champion European sires Invincible Spirit and Kodiac, Pride of Dubai always seemed destined for greatness. 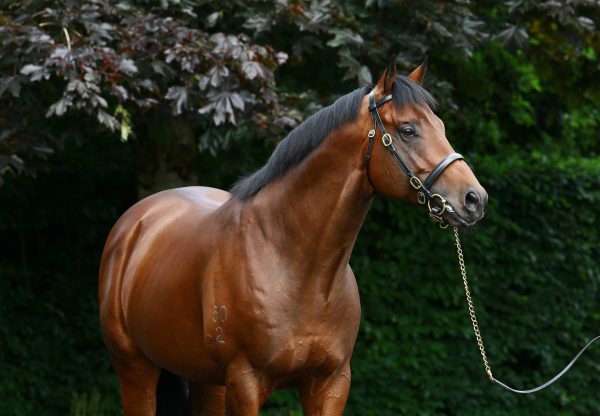 He was super popular last spring covering 177 mares at Coolmore in Australia and has just returned from his first season in the Northern Hemisphere at Coolmore headquarters in Ireland. This beautiful filly is the second foal of unraced Isstoora, who was also bred and retained to race by Sheikh Mohammed Bin Khalifa Al Maktoum. 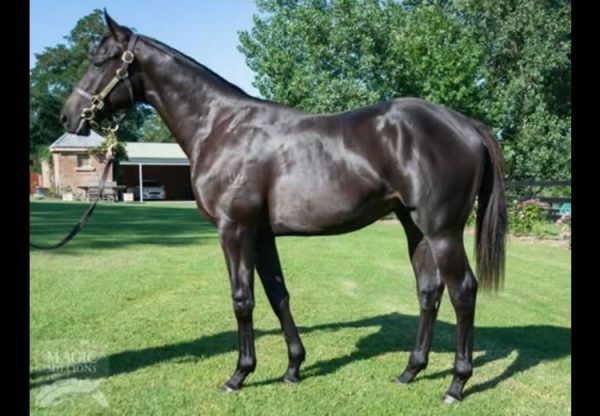 By High Chaparral, Isstoora is from Group III winner Murjana, a half-sister to the dam of Group I winner Gathering from the famed Dancing Show family that has produced champion sire Redoute’s Choice and Group I winning sires such as Manhattan Rain, Umatilla, Hurricane Sky, Al Maher and up and coming Coolmore sire Rubick. 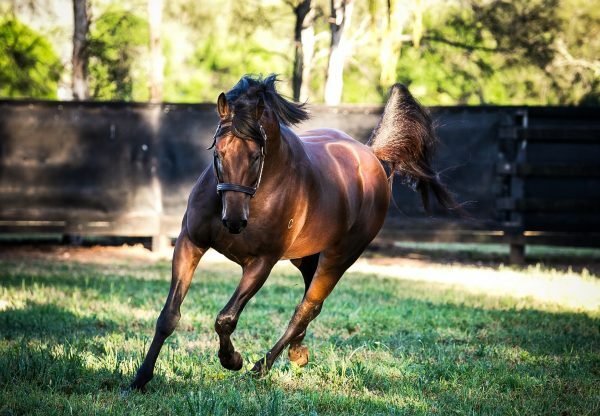 "His Highness has been looking forward to the first Pride Of Dubai foals for quite some time and for the first foal to be such a spectacularly good result is hugely fulfilling for him and everyone associated with the horse,” said Tim Stakemire, Racing and Breeding Manager for HH Sheikh Mohammed Bin Khalifa Al Maktoum. 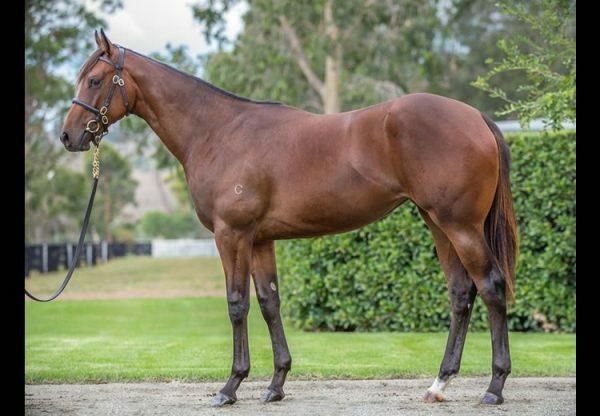 “This filly appears to have inherited all of the best physical characteristics of her sire which is very exciting. His Highness supported him with a large volume of quality mares in his first season and he is very much looking forward to racing his offspring in years to come. "The intention is that His Highness will again support Pride Of Dubai with his best mares in 2017. His credentials as a young sire are outstanding. “He was a tremendously talented racehorse and is particularly good-looking, while his pedigree just goes from strength to strength. Invincible Spirit, to whom Pride Of Dubai is closely related, sired his 101st stakes winner the other day, while Kodiac, who is a 3/4 brother to the dam of Pride Of Dubai, is on track to break the world record for the most number of two-year-old winners in a calendar year. It is a potent stallion producing family." Pride of Dubai stands this spring at a fee of $44,000.